We supply the full product range of gasket sheets, manufactured by Donit® – Slovenia. DONIT Tesnit® is a leading gasket, gasket sheet and sealing solutions provider. The company provides a comprehensive range of solutions for all sealing challenges. This is achieved through an understanding of customers’ needs, high-quality products, extensive know-how in application engineering and customer-driven innovation. Donit TESNIT® BA-202 Gasket Sheet: TESNIT® BA-202 gasket sheet is suitable for non-demanding applications in particular the water supply industry. 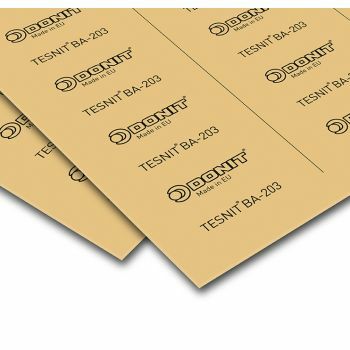 As such, TESNIT® BA-202 has been designed with good mechanical and sealing properties. Chemical resistance against water, gases, oils and fuels is very good. 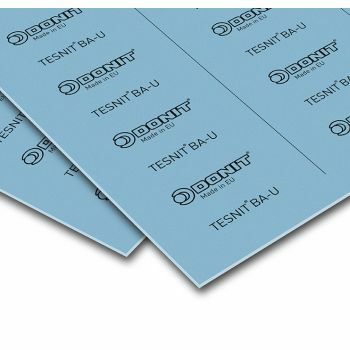 Material is very..
Donit TESNIT® BA-U Gasket Sheet: TESNIT® BA-U gasket sheets combine very good thermal, chemical, and mechanical properties that makes TESNIT® BA-U as a general-purpose gasket material. It is well designed for gas and potable water supplies. COMPOSITION: The BA-U gasket sheet is composed of Aramid fibres, inorganic fill..
Donit TESNIT® BA-CF Gasket Sheet: This type of gasket sheet can handle temperature up to +300°С and pressure up to 120 bar. TESNIT® BA-CF has excellent thermal and chemical resistance to strong alkaline media. 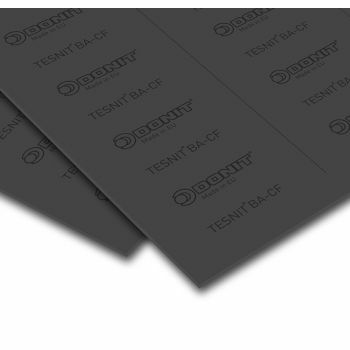 TESNIT® BA-CF gasket sheets are suitable for high temperature applications, petrochemicals and for the pape..
TESNIT® BA-R Gasket Sheet: This gasket sheet is suitable for temperatures up to +350°С and pressure up to 140 bar. TESNIT® BA-R has very good mechanical properties (resistance to high internal and surface pressure). 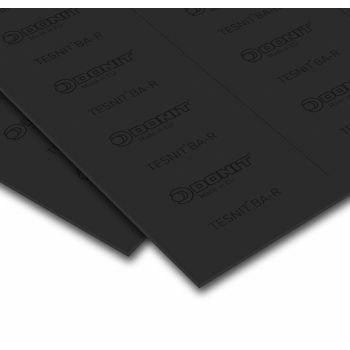 TESNIT® BA-R is based on a mixture of aramid fibres and NBR soft gasketing mate..
GRAFILIT® SL Gasket Sheet: This gasket sheet can handle temperatures up to +550°С and pressure up to 100-140 bar depending of the medium. GRAFILIT® SL is an expanded graphite based material with stainless steel foil insert, thus facilitating its handling and enhances the surface load. GRAFILIT® SL is a gasket material with excellent strength an..